We are thrilled to announce that Winnow is the winner of the Compass Group Supplier Awards 2016 for Corporate Responsibility. The awards and gala dinner at ExCel London celebrated Compass Group UK & Ireland’s supplier partnerships and provided an opportunity for Compass to acknowledge and reward the contribution its suppliers make to its business. Corporate responsibility is central to the strategy of Compass’ business. Compass has been working together with Winnow for two years to solve the issue of food waste and run its operations more efficiently, profitably and sustainably. Compass Group UK & Ireland was one of Winnow’s first customers and has been a close partner in helping us develop and refine our technology. Winnow has been implemented across all key areas of their business including staff restaurants, universities, military bases and hospitals. 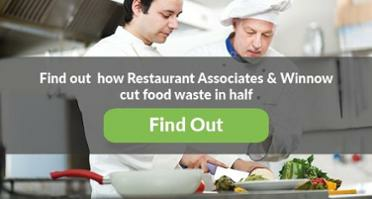 This award shows the commitment Compass Group has to reduce food waste across its business. By addressing the issue of food waste Compass is leading the way on how companies should address this challenge. Are you ready to put your business towards a sustainable path? Get in touch with us to see how we can help you.